Hosted by the Gene Siskel Film Center, the month-long Chicago European Union Film Festival (CEUFF) featured 15 films directed by women (15 out of 62 = ~ 25% = a record high for this event). 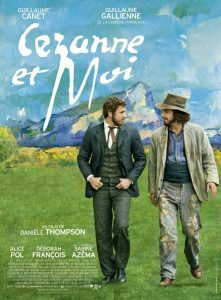 Danièle Thompson, French director of Cézanne and I (Cézanne et Moi), recently sat down with FF2 Media Senior Contributor Stephanie A. Taylor to talk about her new film, how she entered the entertainment industry and advice for aspiring women filmmakers. Q: I understand your father was a director and your mother was an actress. What sparked you specifically to join the industry? As a matter of fact, when I was a child both my parents were actors and my mother gave it up very quickly. My father went on being an actor and then became a screenwriter and then became a director. And then an immensely successful director because he started making French comedy. As a child, I saw my parents having a hard time as actors and I never wanted to become an actor myself. In fact, I went to law school for a year and then I quit. Then I came to America and studied the history of art. My father, at the time, had directed his first very big success. And asked me to join his writing team. The three of us wrote what happened to be my first film as a writer La Grande Vadrouille which has become a legendary film in France now. It was the highest attendance in France until Titanic. This was the first film I was credited for which was great for me because it was the way I started learning writing. I didn’t go to school, I just participated in all these films that my father made for years and learned how to do it by doing it. Which is something that I found very helpful. In the meantime, it really meant that I had to be patient about having my own career and my own recognition as a writer but I was patient and finally it happened. It’s all a privilege to have the door open by your family. But then that privilege turns into something you have to fight against in the eyes of other people. This was the beginning of my work and I was very happy a few years later that I could go my own way and start really working on very different films. Q: What made you venture into directing? I started directing 17 years ago. And I was already not that young then. But I had been writing a lot of different kinds of films with a lot of different types of directors. This was very exciting for me to go from one directer to another and to go from one kind of film to another. But then producers were always asking me why don’t I direct a film on my own. Finally, I did this film called La buche which is called in America Seasons Beatings. So I directed that film thinking maybe it was going to be my first and last film. Thinking am I going to like it? Are people going to like it? Am I going to know how to do it? Am I going to like directing actors? Which I discovered actually was like I liked the most. The film was a success so I went on and here I am. Q: I read that you’d been thinking about the story of Cezanne and I for 10 years. What finally sparked your interest to make the film? Well, all of my previous films were comedies. And I was very intrigued when I read about this friendship in France. 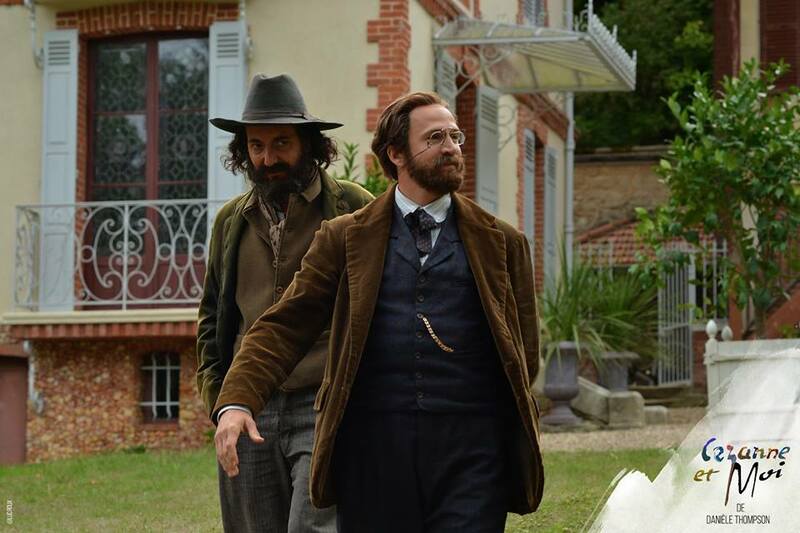 These two men are two of the most important figures of the 19th century. Everybody in France had seen paintings by Cezanne -- I suppose in the world too. And, everybody even in school has to read some of Zola’s books. Everyone else I knew a little bit about these two men especially about Zola. But, I had no idea that they had even known each other and I had no idea that they met as children. They had become so close that they had written these amazing letters for years to each other. So I had discovered all that and of course what I discovered was that they had break ups. Which is really something that made me think there might be some dramatic issues in their relationship that I could build a movie around. 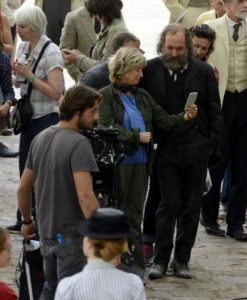 So I started reading a few things and I was doing one film after another and three years ago I decided that I was going to take the time to research and emerge myself in the 19th century. The more I was reading, the more I was discovering things that were so attractive to me about the friendship. At one point I decided I was going to stop the research and start writing my own story, and take the freedom of telling a story that might not be completely true but based on a lot of truth. Q: Tell me about your experience with writing and directing this film. It was very interesting and very exciting because I had written period films, but never directed one. And of course I had little time. The movie was shot in eight weeks. But thanks to my producer, I had a long time to prepare the film and to look for a lot of locations. We actually shot the film in the places that still exist today and are amazingly intact. The house you see in the film is Zola’s house. It’s actually being turned into a museum right now. The little cabania of Cezanne’s is the real place where Cezanne worked. He rented that place. It was his own little refuge where he was sleeping nights and many days to catch the light of the sunset and sundown. It took a lot of time to get permission to shoot there because they’re all very protected. I worked alot with my custome designer. I have hundreds of photographs of dresses and suits and paintings. I made big books of photographs and having her reproduce some of the costumes I love in the paintings. We did a lot of work on the sets. We reproduced the inside of Zola’s house which was heavily decorated. This was a lot of fun and very very interesting to do. Q: To what do you contribute your longevity and success in a male dominated industry? In France today we have more and more female directors -- a lot of them. Much more than in America. There’s a very strong new generation of women now in France making films. It’s not 50/50 yet. Will it ever be? I don’t know. But it’s definitely happening in France. Q: Do you have any advice for any aspiring women writers and directors? Just go on and feel that they can do as well as men. There was a moment when women were mostly editors, costume designers or casting directors. Now everything else, I think, is open. And they should try and open these doors as much as they can. Never feel that it’s a burden to be a woman. FF2 Media has compiled “Best of the Fest” lists from three Chicago team members, recommending films ranging from food documentaries like Cooking up a Tribute to holiday heartwarmers, A Holy Mess and All the Best. Check out our coverage at ffmedia.com. 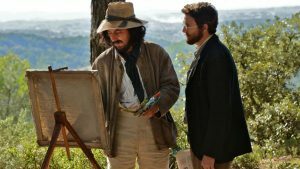 Featured image: Painter Paul Cézanne (Guillaume Gallienne) and writer Emile Zola (Guillaume Canet) in Cézanne et Moi (2016).